Yesterday, Ain’t It Cool News posted a link to some images that give a notion of what the titular monsters will actually look like. 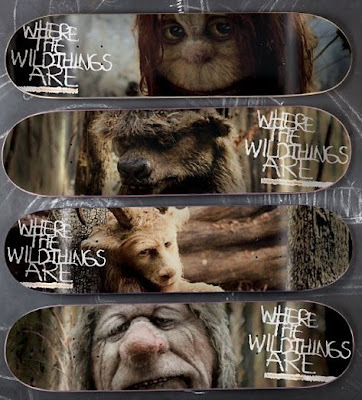 The website Slashfilm has posted some photos of limited edition skateboards featuring the cinematic versions of the wild things. See the remaining boards over at Slashfilm. And be excited: This may be one childhood memory that Hollywood may not ruin for us all. They look cool, but I have to wonder how they're going to make such a short book into a feature-length film. No clue, though I believe the script is online. This is going to be quite exciting. =) I'm looking forward to the day when people of my generation start to make movies and tv shows and such, because I'm kind of hoping they're as nostalgic for the stuff of the 90's as a lot of us are. And maybe that stuff won't be as bad anymore. It's funny. I always considered the book something from the 80s, because that's when I first encountered it and my childlike conception of reality couldn't imagine anything ever happening before I was born. 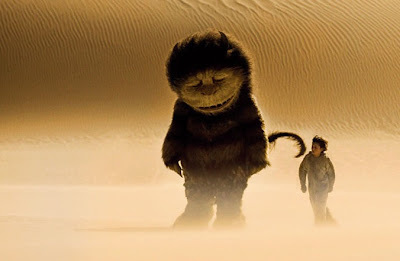 Wikipedia, however, says Where the Wild Things Are was published in 1963.